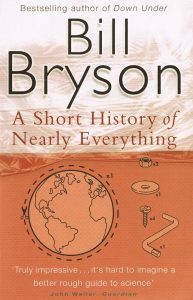 The talk commenced with an explanation of how Bill Bryson had spent three years researching a range of scientific developments in order to better understand the world we live in. 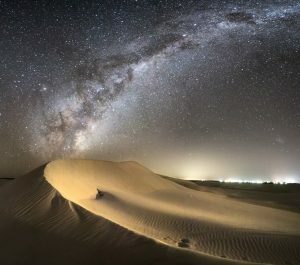 We have all gazed at the stars on clear evenings and now realise that we are a small element in the Milky Way, our Galaxy that contains and estimated billion Stars. Then followed a review of the history of Astronomy, through the invention of telescopes, radio telescopes and more recently space craft exploring Planets on our Solar System. Bryson wanted to find out how the Earth had formed and evolved to the present day with life as we know it on our Planet. Scientific break throughs such as discovering ‘cosmic radiation’ dating from the ‘Big Bang’, 13.7 billion years ago, when the Earth was created. The ‘burnout’ of Stars, Supernovae that have exhausted their combustible energy and collapse or explode in spectacular form have been observed. 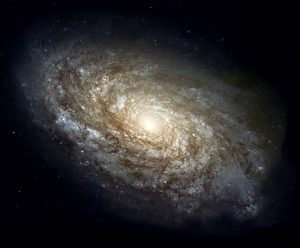 There is also the unknown role of ‘nebulae’ and ‘dark matter’ that we are unable to see that can only be speculated on. Ongoing research has shown that the Cosmos is vast and still expanding. 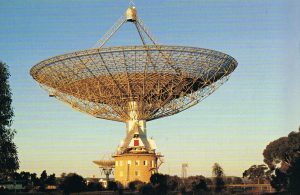 Space missions to other planets and telescopes in space are continually increasing our knowledge of what is out there. The Cosmos is indeed infinitely vast.